Whomsoever controls the volume of money in any country is absolute master of all industry and commerce and when you realize that the entire system is very easily controlled, one way or another, by a few powerful men at the top, you will not have to be told how periods of inflation and depression originate. New Updates! (4/21/2019) We've been working really hard on completing our membership system so you can submit quotes and keep track of them. Once this is complete in the coming weeks there will be a lot more quotes by James A Garfield and other authors. We've also changed the sorting on the site so you now see the latest James A Garfield quotes first. 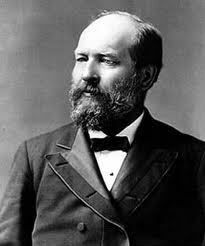 Our goal is to have the best James A Garfield quotes on the web!